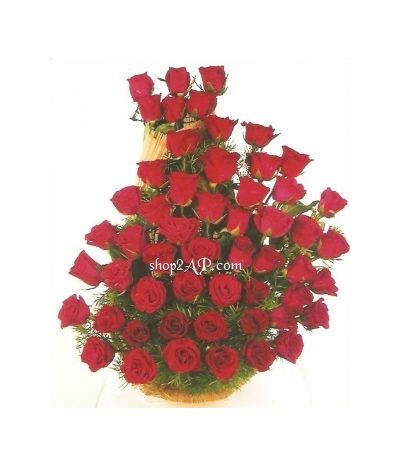 The Basket of 60 Red Roses is a warm and lively floral arrangement which will brighten up the day of that special person. The rare and gigantic collection of roses bouquet is styled by our team of florists. 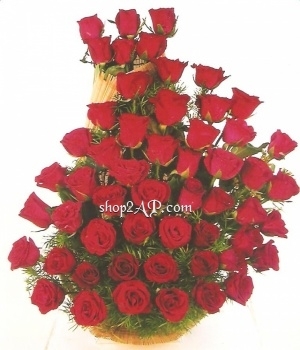 Consider red rose flowers bouquet to satisfy your inner self for your sweetheart.